Lay Down the Red Carpet – Before royalty, or Hollywood royalty, comes into the building, there is red carpet laid down. Do the same for your students. Welcome them. Make them feel welcome. Have a plan, with a welcome table. Train your leaders how to treat an incoming visitor. Use role-play to illustrate how it works and what to do and what not to do. You Might Want To Invite God – You ever have a party or get-together and realize you forgot to invite someone. It is an awful feeling. Well, you should have that feeling if you forget to pray before small group. You need to invite God, pray for his help, pray for the Spirit to change hearts, pray for your students. Invite God to your small group! What, Do You Need Me To Paint You a Picture! – The answer is yes. Use well-thought out illustrations that drive the point home in a memorable way. Allow the lesson and Scripture to come alive. Have quality ice-breakers that could plug into the lesson. Spend time making the lesson memorable and life-changing! Who Is That In the Reflection of the Mirror? – As you get older you begin to not recognize who is in the mirror. Well, the same thing happens in your relationship with your students if you don’t reflect on what happens in each group. I call them “Reflection Sheets”. These short worksheets are given to each leader of the small group. It includes attendance, weekly devotional accountability count, questions about what went good in discussion, place for upcoming special events of members of the small group, and of course a place for prayer requests. Don’t Forget to Look in the Mirror – Okay, your leaders just spent the time to fill these “Reflection Sheets” out for you…don’t just throw them away…USE THEM! Record your attendance and reflect on it, reflect on what questions went well/badly, try to plan to attend or send a leader to attend the special events, and PRAY for ALL the requests listed on the forms. What about you? 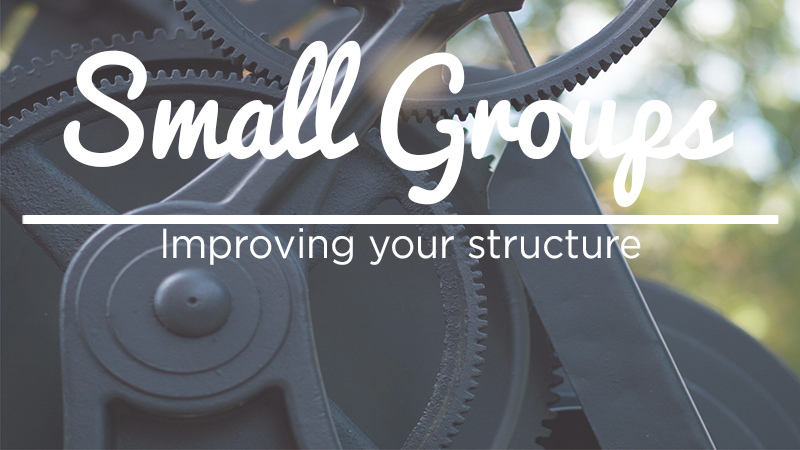 What changes have you made in your small groups that have made your small group more successful? I would love to hear your ideas as we help each other bring students closer to the Savior.